Flip a coin. If heads,the opponent loses his life and his pokemon. same thing if tails. 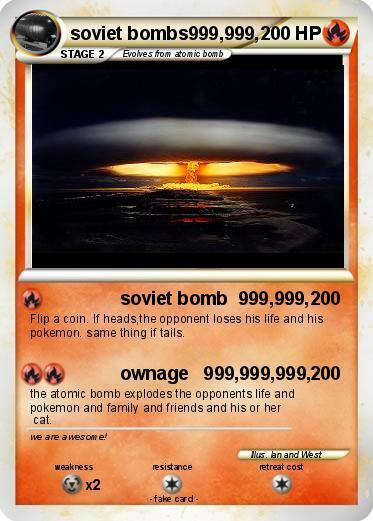 the atomic bomb explodes the opponents life and pokemon and family and friends and his or her cat. Comments : we are awesome!